Our highly-qualified engineers can inspect all your equipment, saving you time and money. We are experts in engineering inspection services. We assess your business to ensure complete compliance with all relevant health and safety regulations. Is accessing plant a challenge? We use innovative working at height and confined space inspection techniques. 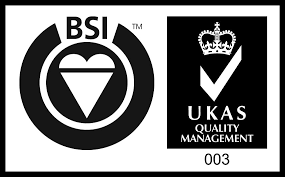 We inspect thousands of workplaces every year, keeping people safe and businesses running effectively. Inspections happen on time, every time. Our service is flexible, efficient, and includes full after-care support. We provide impartial assessment services including legionella, gyms, playgrounds, workshops, kitchens and LPG installations. Our multi-skilled team of permanent, full-time engineer surveyors are highly experienced and qualified to undertake a very wide range of inspection tasks. Our efficient and flexible working practices mean our rates are among the best in the market. We offer a rapid response, all hours, high quality service. Inspections are integrated with your own schedules, meaning minimum disruption.